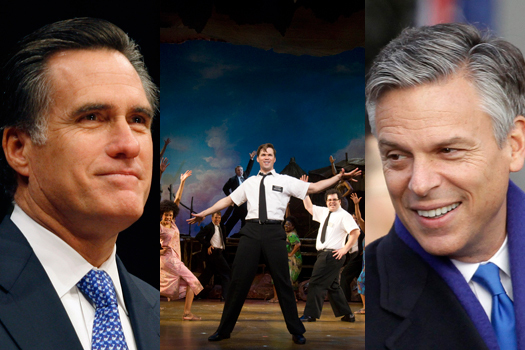 In 2011, two things happened to create what some journalists call the “Mormon moment.” First, a musical comedy came to Broadway that mocked and derided the beliefs and practices of The Church of Jesus Christ of Latter-day Saints, often called the “Mormon Church.” Second, Mitt Romney, a practicing Mormon, began to move ahead in his campaign to become the Republican candidate for the presidency of the United States. Mormons have not really enjoyed this moment, because it seems to have given the press in America the right to unleash a torrent of anti-Mormon rhetoric. Even respected press outlets have presented skewed information and outright lies or ignorant and unsubstantiated ideas. One journalist decried the situation, calling anti-Mormonism “the last acceptable bigotry.” In the midst of the fray, it has seemed, indeed, that you have to respect all religions, except Mormonism, which is, if judged by its fruits, the most successful religion on earth. Study after study have recently been released showing that Mormons are the healthiest, the most volunteering, most chaste, most faithful, most well-adjusted people on earth. The fiscal health of the LDS Church has also been derided, with reporters writing about what it takes in, but nothing about what it gives out. That the LDS Church is debt-free, and has its own magnificent welfare system and humanitarian aid arm (keeping Mormons off the welfare roles of the countries where they live) seems to mean nothing to its critics. However, in spite of the bad and unfair press, Mitt Romney turned out to be the last candidate standing, and those Christians who have accepted unfair reports about the doctrines and practices of the Church have gradually accepted that its fruits are those of true Christianity, as shown in Romney’s upstanding character and solid family life. Mormons have also faced bigotry from the left, although Democrats have sworn to leave religion off the table. Mormon doctrine is highly supportive of traditional family ties, and considers the structure of the family to be God-ordained and marriage to be a sacred covenant designed by God, and immutable. Although gay marriage might look fair to men and women as they reason with compassion for the gay minority (Mormons feel compassion for them, too), God can see everything. He has told us from His superior view, that eventually, these decisions will bring us unhappiness and misery, including the terrible events prophesied in the Book of Revelation in the Bible. Mormons do want everyone to have rights, and to have happiness, but not in direct rebellion against the commandments of God. Mormonism is led by a prophet, so commandments are always new, not an interpretation from antiquity. Meanwhile, curiousity is piqued among those open to the promptings of the Holy Spirit, and many are very pleasantly surprised, when they find out what the LDS Church really teaches and practices. As a result, the LDS Church continues to grow. Book of Mormon prophets predicted that the Church would always be small, but that it would reach every nation, tongue and kindred. After Christ comes to usher in the Millennium, the true gospel will fill the earth, as prophesied.